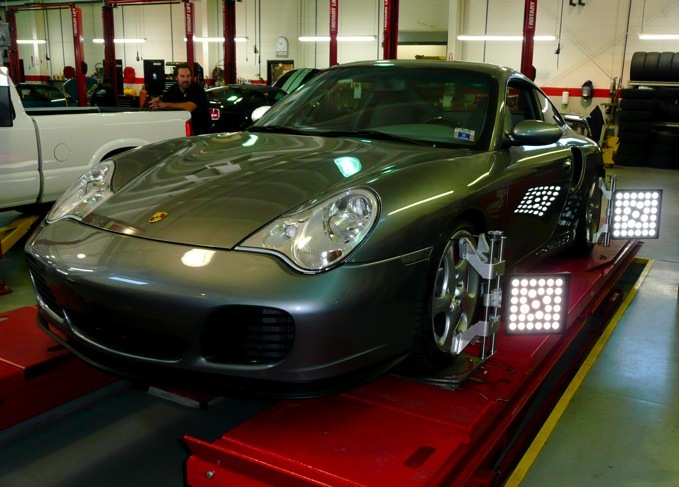 Although we specialize in Porsche and BMW, our service extends to any and all european automobiles. 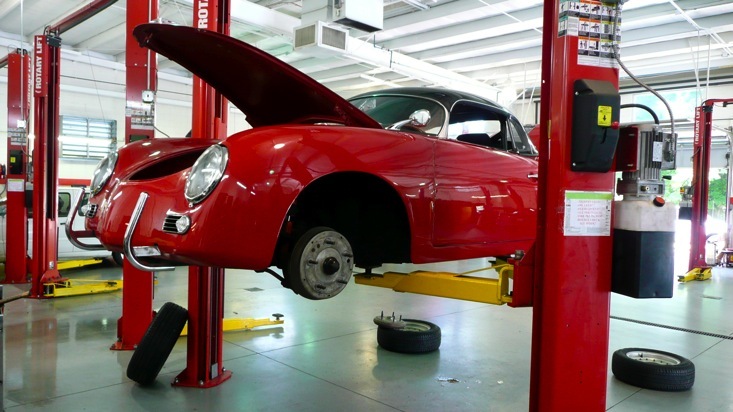 Wether its a simple belt change, tire rotation, or spark plug replacement, there’s nothing more important when it comes to your car’s performance than regular scheduled maintenance. Simply changing the oil and filters on a regular basis can save you thousands of dollars through out the life of your vehicle. Not only does it allow your engine to run more efficiently and get better gas mileage, it lets us catch other potential problems before they become serious, not to mention expensive. New Sneakers for Your Ride? When it comes to safety your tires are first priority. These days rims are growing larger and tire’s profiles lower making them increasingly difficult to mount and balance.￼ The wrong equipment or an inexperienced technician could lead to costly scratches or an improperly balanced rim leading to tire damage and drivability issues. So don’t trust this crucial installation process to just anyone. We have the tools and experience to keep your vehicle gripping the pavement through each and every turn. And for the straight-aways our state of the art laser precision alignment rack gets the job done every time. Headed for the Track? Whether your just getting started or your a more serious and experienced racer we can help. If your planning on taking your every day driver to V.I.R. for the weekend to see what she’s made of,￼ and all you need is a quick tech inspection, we’ll get you checked out and on your way. On the other hand maybe you need a roll cage installed, brake system upgrade, racing seats with five point harness, performance clutch with light weight flywheel, gauges, slicks and an engine overhaul . . . well we can do that too. Many of our customers already trust us to help them get to that checkered flag on race day and we invite you to do the same. Need a New Car? If your in the market for a new vehicle there are a few ways in which we can help. Once you’ve found the one that you can’t live without bring it by for a Pre-Purchase Inspection. We will check it out from bumper to bumper and let you know it's condition before you commit. Not quite sure what your looking for? 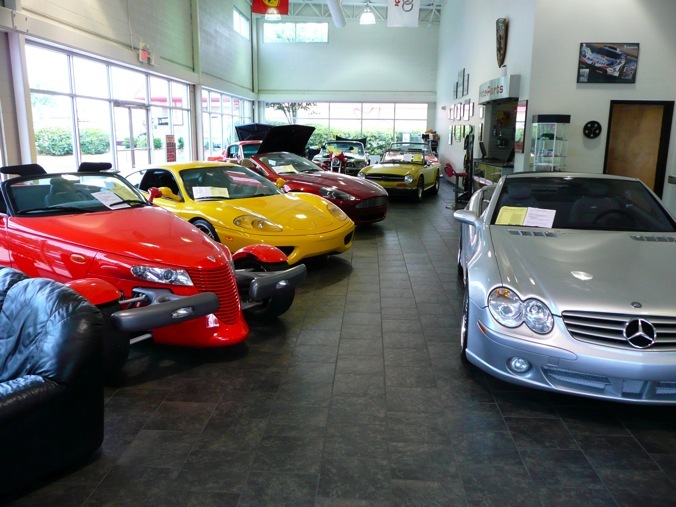 Then come pay a visit to Motorcar Investments located here in our building. With an indoor showroom and a wide range of vehicles to choose from you just might find what it is that you’ve been looking for. Also if your trying to sell your existing car they can assist you in listing the vehicle in a number of different ways. Click here for more information. Extras! Here at European Performance we believe it’s the little things that make all the difference. If you bring your car in for a major service we will wash and vacuum it free of charge. If we require you to drop your car off for repairs we will try our best to give you a ride to work, home, or where ever you need to go, as long as its local and within a reasonable distance from our shop. If you need to wait thats fine too. 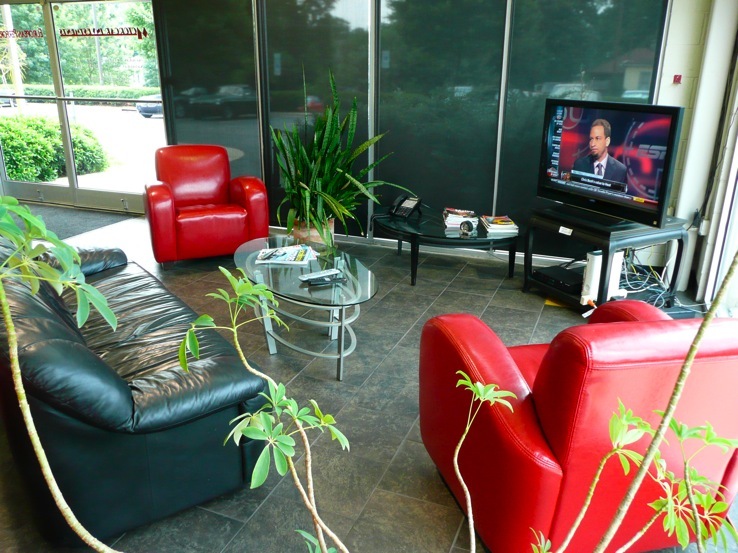 We have a comfortable waiting room with a 42” flat screen, digital cable, and free wifi. There is also a Triangle Rent-a-Car and Enterprise less than a minute down the road for your convenience.